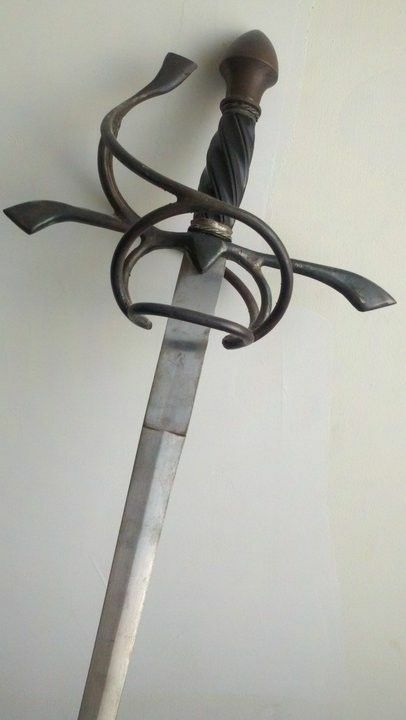 This Rapier was designed with unique angle in mind. The Client wanted it blackened. 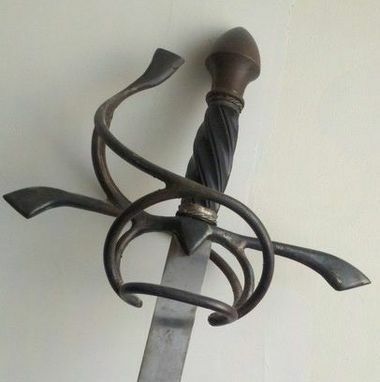 The Added black twisted horn handle added to the sinister feel of the weapon.